Due to colon inflammation, Tracey’s 8-year old son is prone to the stomach flu. After being healthy for a while, he was hit by the flu again. In addition to a specific diet, Tracey planned to use Pedialtye to rehydrate him. However, after reading the label she saw many chemicals she didn’t want to give to her son. Gatorade was not much better. Tracey decided to develop her own natural electrolyte drink. Thanks to fresh orange and lemon juice, it’s both healthy and refreshing. In addition to the juices, she uses other healthy ingredients including Himalayan Pink salt. 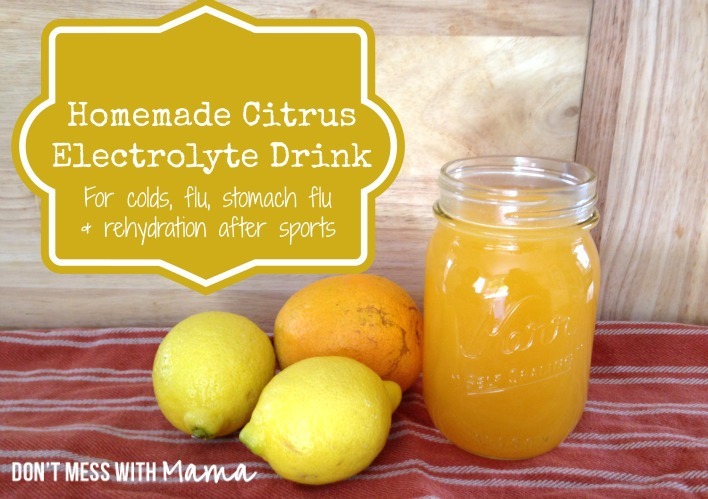 The instructions for making the citrus electrolyte drink could not be easier to follow. Very nice recipe! This is a great natural drink for after working out or to stay hydrated during an illness. Click on the Homemade Citrus Electrolyte Drink link below to read the full recipe.